It is obtained by cutting of grappa Chardonnay of 3 vintages,distilled in two plants of copper to the batch. The aging lasts for a minimum of 48 months, in steel and glass. Borgoscuro Chardonnay blend and a grappaestrema for complexity and purity,created from the original matrimoniotra production concepts distinct, the single-varietal and blend. 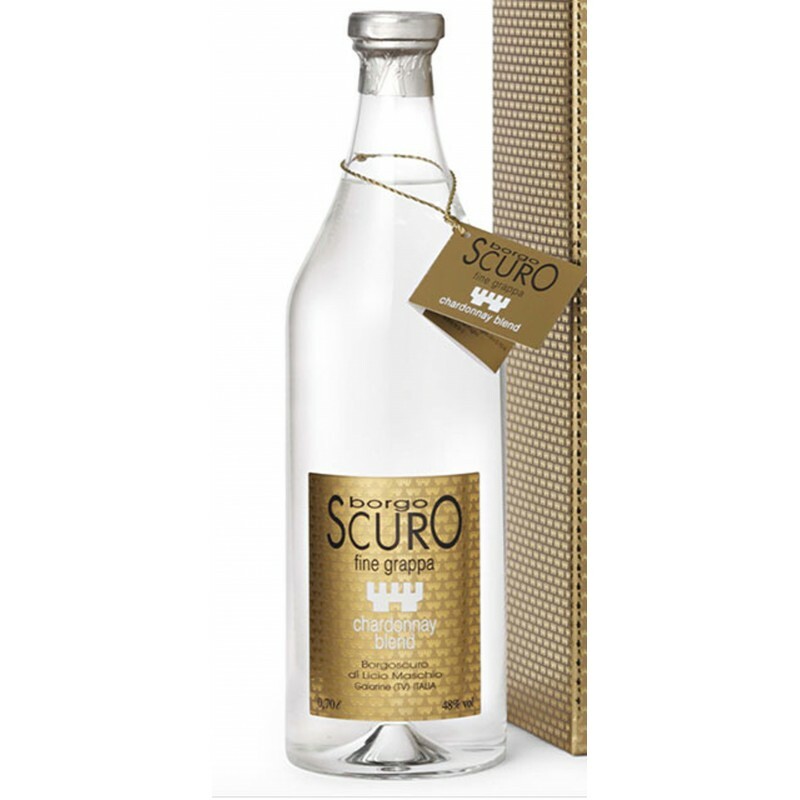 It is obtained by cutting of grappa Chardonnay of 3 vintages, distilled in two plants of copper to the batch. The still vacuum in a water bath enhances the varietal notes, the boiler direct steam extracts the strength of the vine. The aging lasts for a minimum of 48 months , in steel and glass.The result is a brandy unique for the richness, harmony and personality', capable of giving unforgettable feelings. Tasting notes:- Color diamantino, presents the nose with a delicate sweet sensation in a crescendo of aromas florealidi lily of the valley, jasmine, narcissus and flowers of the elderberry. The impressive progression in the mouth, with a long and enveloping warmth and a note of sweet almond. The finish is long, supported by an intense perfume of the flower of the jujube, and an aftertaste of bitter almond.